In a dramatic move away from the current preponderance of gloom and doom predictions, these prophetic visions, tapped from akashic record studies, illuminate pure, authentic intentions of love through a lens of light that will heal the planet. Unlike a futuristic, dark, ravaged, war-torn world, often depicted in books and film media, a glorious place of beauty and joy, with accessible Halls of Learning, will be made manifest by enlightened groups of beings, allowing a peaceful, evolved co-existence of all. This research-based, Spiritual-Inspirational, Fine Art Gift book contains unique narratives coupled with 26 Master Paintings, revealing a graceful connection of Oneness. An innovative Akashic Glossary clarifies names and terms, which may be new to some and offers an expanded panorama of understanding to each segment, in story sequence. Artful vignettes convey timeless scenarios, drawn from various spiritual and cultural belief systems spanning continents and dimensions, that are for the good of mankind. These ancient energy blueprints, which are literally future-shifters providing a sacred key to the code of our very survival, are critical because the fate of our existence lies literally within the collective mind. A powerful, comprehensive lift for the searching Soul, this creative compendium of living paradigms for the New World is offered as an introductory learning tool for seekers young and old. Every potent page is passionately infused with effective, healing intention to lift the reader’s vibration and help remove fear-based consciousness. 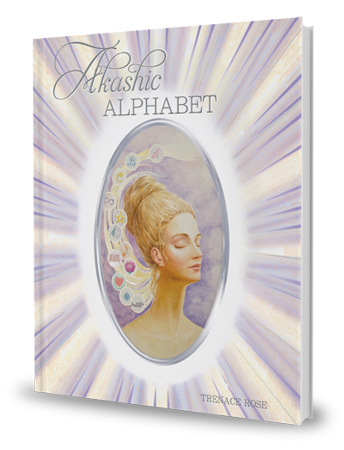 Akashic Alphabet contains information that is suitable for baby boomers, aging senior parents facing imminent life transition, their loved ones and caregivers, art aficionados, as well as intuitive young adults who are tuned in to the metamorphic, global shift that is taking place. By awakening a primal knowingness, this book will surprise and delight all those who are able to think outside the vast, delusional dream box of ephemeral reality.